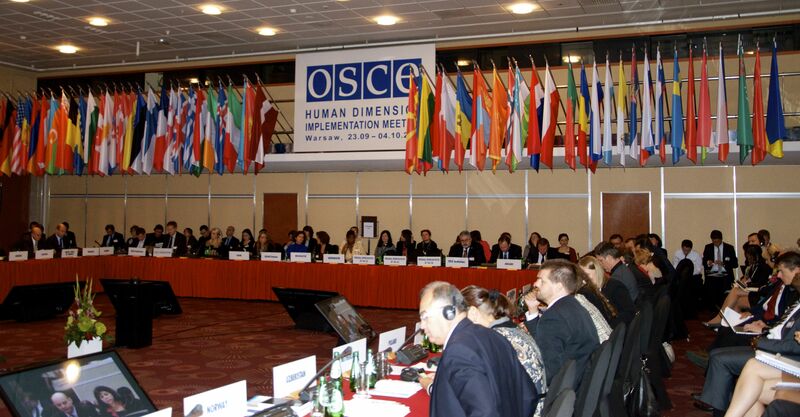 The following statement was given by Peter Zoehrer (FOREF Europe) as a reply to the statement of FECRIS vice-president Daniele Muller in the OSCE/ODIHR plenary. This morning we heard the Statement of FECRIS which is the France based European Anti-Cult umbrella organization. For that moment some of my colleagues and I thought we are in the wrong Conference! This is supposed to be a conference on Freedom of Religion and Belief – not a Conference of hate speech against religious minority groups. FECRIS was founded in 1994 in Paris and is at present uniting 25 Anti-Cult Organizations around Europe. FECRIS calls itself an NGO, yet over 92 % of its budget is financed by the French government. To get detailed background information on this controversial organization I recommend to every human rights- and religious freedom advocate to study this book published by a German academic publishing house: “A Case Study on FECRIS”. This organization has openly declared its goal to export the highly controversial and discriminating French Anti-Cult law to the member States of the European Union. Just some hours ago during a side event I was shocked to learn that FECRIS-affiliated groups in Romania and Italy were also linked to the horrifying police raids on the Yoga group Misa in Romania as well as the brutal interventions of the Anti-Sect squads (“Sect-Busters”) in Italy. The shameless impunity by the French government in the face of these Europe-wide activities of FECRIS is totally incomprehensible. structure, financing and its activities. This entry was posted in Uncategorized and tagged FECRIS, FOREF Europe, Human Rights, OSCE, Religious Freedom. Bookmark the permalink.